Vitens water company was looking for a solution to prevent time consuming and costly searches for leakages. To inform their clients proactively on work and outages and even better: a system with which they can prevent outages. We developed an IoT solution that measures vibrations in water pipelines. Remotely and wirelessly. In addition to vibrations this system also measures the pressure, force and flow rate. 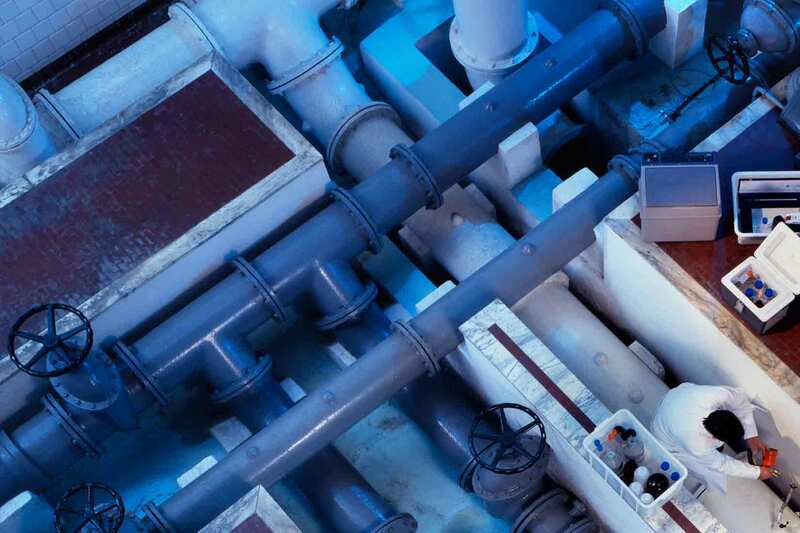 This provides real time insights in the condition of water pipelines. Vitens now saves costs. On the one hand by detecting and repairing failures faster. On the other hand by predicting and then preventing failures. We developed this IoT system specifically for Vitens. The solution is entirely based on measuring vibrations; to obtain insight into the condition of the pipelines. These vibrations are collected by wireless sensors. Sensors that are placed at specific points on the pipelines. All measurement data is sent wirelessly to a central point. Then the information is instantly presented on a dashboard in a comprehensible way. Thanks to the IoT system vibration behaviour of pipelines is monitored accurately. Any deviations are visible at an early stage. Immediate action can be taken. This way, Vitens prevents outages and expensive repairs caused by major damage to pipelines. Are you interested in what wireless sensors can do for you? Tell us what you would like to measure. We will come up with a tailor-made customised solution.